Originally published in Psypress Vol XVIII, my in-depth interview with LSD historian Andy Roberts covers his new book, Acid Drops, and much more. We compare notes on the mind-bending properties of Operation Julie acid and generally muse about tripping in the 1970s, with Andy giving examples of the various weird acid synchronicities he’s experienced. Now online in this abridged version. 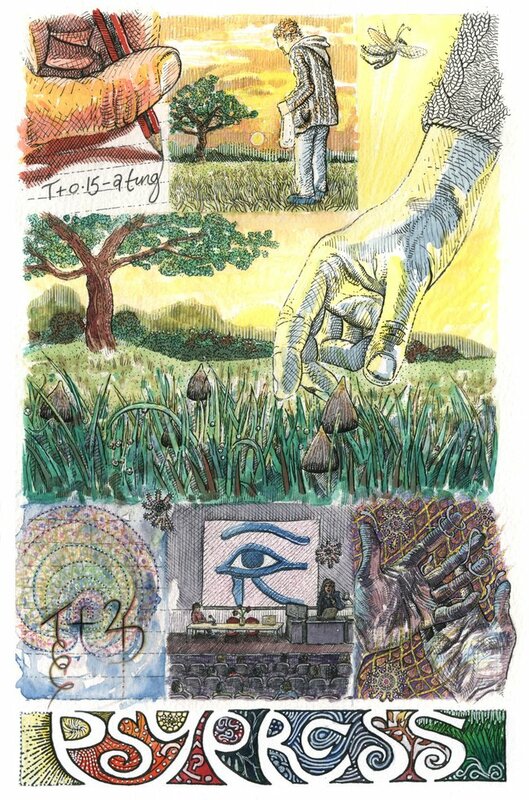 Andy Roberts is well known in the psychedelic community as the author of Albion Dreaming: A popular history of LSD in Britain, which was published in 2008. He is also a UFO folklore researcher, a prolific journalist on matters psychedelic and Fortean, and an active presence on the event and convention circuits, giving lively lectures and contributing robustly and colourfully to discussion sessions. I first met Andy on Facebook in 2010, when he provided a lot of kind support and valuable feedback on my then newly-published memoir, The Mad Artist, concerning my psychedelic adventures in the 1970s. As Andy is much the same age as me, we found we had many congruent historical experiences—acid war stories, one might say—we’ve continued to exchange lively chat on such matters, and we eventually met in the flesh last year. For a long time I’ve wanted to delve a bit deeper into his head and ask a few possibly difficult questions. And now with the publication of his new collection of writings, Acid Drops, I’ve finally got my chance. 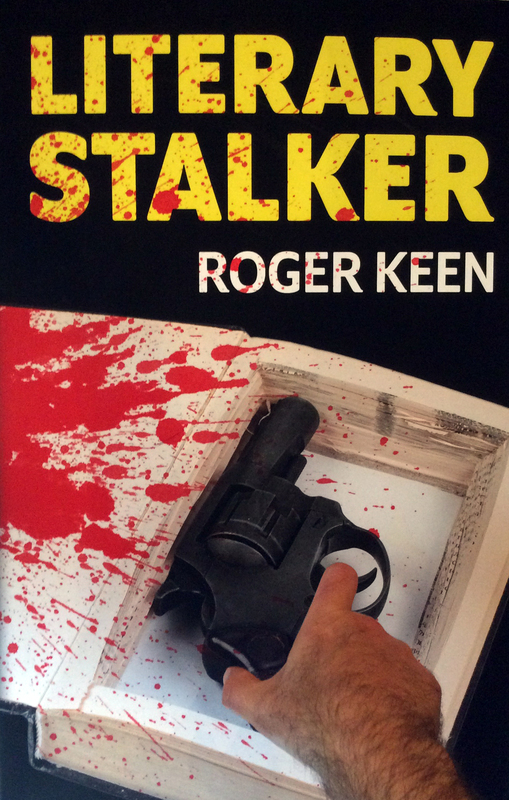 Roger Keen: Andy, congratulations on publishing Acid Drops. It contains a miscellany of pieces, some already familiar to me and some not so. When you composed them, did you have the idea that they may one day come to together to form a whole, or did that notion take place more spontaneously? And how did you decide to arrange them in order to create a total effect within Acid Drops? Andy Roberts: Thanks! There was never any real notion they may coalesce into a themed collection until sometime in 2015, when Psychedelic Press supremo Robert Dickins suggested the idea and it grew from there. At the time I was deep in research for the Michael Hollingshead biography I am still writing (of which more later) and, like any good writer, looking for diversionary activity and an anthology of psychedelic writings seemed like an excellent idea. Even though I’d had an abiding interest in psychedelics since 1971, until I wrote Albion Dreaming I’d actually written very little else on the subject; a very early short piece after my second trip, a few articles for Fortean Times relating psychedelics to flying saucer belief, and a piece about the Grateful Dead’s acid-inspired telepathy experiments, and that was about it. But since the publication of Albion Dreaming I’ve written quite a few pieces, some of which have been published in Psychedelic Press, some in more obscure journals, and I had a few pieces kicking about in note form which I breathed new life into. Being able to publish all these bits and pieces meant that others have the chance to see at least the tip of the ‘research iceberg’ that is my archive! Some of the real treasure came in the form of interviews I had carried out for Albion Dreaming or for the planned Hollingshead book, because usually only a tiny percentage of an interview actually makes it to the final edit of a book, and the chance to print some of these interviews in full was too good to miss. I also generated a few pieces specifically for Acid Drops, such as the interview with psychedelic alchemist Casey Hardison, which I think is a corker! I was also very pleased to be able to include a long form poem written by my good friend Graeme, about an experience we shared on a psychedelic quest for a mysterious and now long gone sculpture deep in the heart of the Lake District in Grizedale Forest. I also have several pieces that didn’t make or weren’t submitted for the final edit, plus a host of interviews which have yet to be transcribed, and lots of other ideas that might make it into a second volume if Acid Drops sells well enough. The final order of pieces in the book was entirely Rob’s and it makes perfect sense, being a mixture of the chronological and the themed. 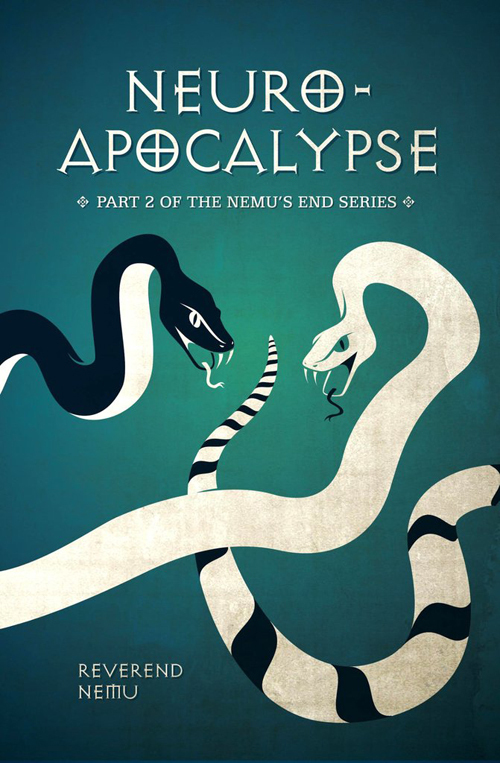 The second volume in the Nemu’s End series finds the self-styled Reverend Danny Nemu looking inwards to explore the personal apocalypse, where the veils of regular cognition are rent asunder and an unbounded world of revelation manifests beyond. He focuses on how the constrictions and convolutions of language work to dilute the divine, drawing its sting and rendering it into the conventions of whatever zeitgeist that currently obtains. This issue is intensified by translation – for example, any number of multiple meanings can arise in the text of the Bible when it is filtered through Aramaic, Hebrew, Greek, Latin and English. Overcoming the tyranny of the Word, be it written, spoken or thought, is what Neuro-Apocalypse is about, and Danny Nemu explores the many avenues through which this may take place. 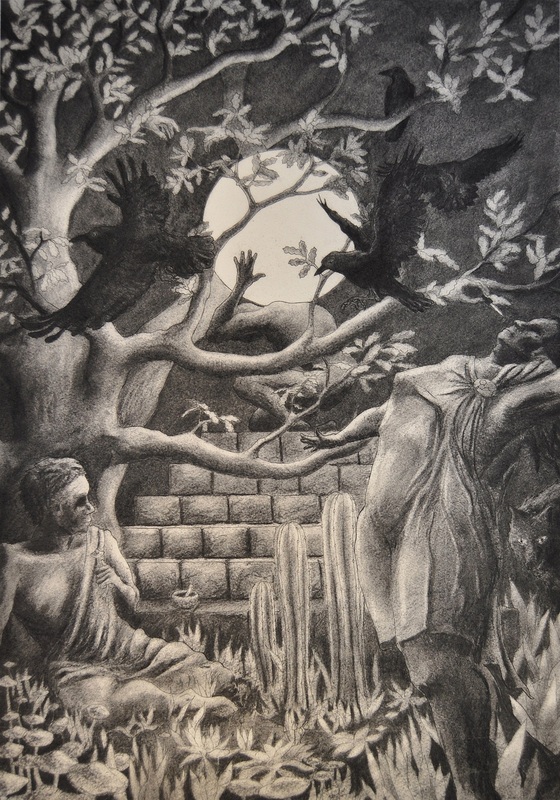 Drawing on a rich history of personal experience, Danny tells of arguing with Jehovah’s Witnesses in Kyoto, of taking his perceptive system ‘off road’ with large doses of speed, and imbibing ayahuasca, firstly in Japan and later in the Brazilian Amazon. From an elevated perspective, he sees the ‘problem’ of language and the pictures it creates, even as he’s using it: ‘The nervous system finds what it expects to find […] We call false interpretations of the visual scene “hallucinations”, even though everything we see is an interpretation. The world perceived is the visual equivalent of a theory as yet unfalsified.’ He says that our cognitive structures are both climbing frames and cages, but their bars can be bent or reconfigured. When it comes to geniuses such as Newton, Tesla and Wittgenstein, Danny points out that their oddities and obsessive natures contributed in no small part to their intellectual achievements and breakthroughs; and similarly with autism, the difficulty with abstract thinking can be counterbalanced by the savant’s extraordinary powers of memory and recall. Continuing this thread, he notes that some of the symptoms of an epileptic fit resemble those of a religious vision, including terror and elation, premonition and encounters with demonic, angelic or ancestral entities. And the syndrome of ‘hearing voices’ isn’t necessarily all bad, when looked at from beyond the perspectives of western psychiatry. The point here is that there are many ways for the veil to be lifted. As with Newton, Tesla and Wittgenstein, Danny’s new work has an impressive, obsessive monumentalism – the notes alone take up fifty pages. And the Reverend himself comes over as an Old Testament prophet reborn as a psychedelic dub poet or DJ, sampling and splicing the ancient and modern in his own signature style. Blending Bible studies with history, linguistics, philosophy, psychology, pharmacology and anthropology, Neuro-Apocalypse is a heady eclectic reading experience, a synapse-stretching brain workout that puts a new spin on apocalypses within and without. Highly recommended for anyone interested in the cutting edge of psychedelic philosophy. The latest Psypress Journal, 2016 Volume XVIII, features ‘War Stories and Cosmic Flights’, my in-depth interview with LSD historian Andy Roberts. We compare notes on the mind-bending properties of Operation Julie acid and generally muse about tripping in the 1970s, with Andy giving examples of the various weird acid synchronicities he’s experienced. Andy goes on to talk about his new book Acid Drops, a collection of essays and interviews about all things psychedelic. As well as exploring the wacky, scary and wonderful in first-hand trip accounts, he also debunks long-standing urban myths about acid, such as Francis Crick being aided by LSD in discovering the DNA double helix; and also the classic ‘Reservoir Drugs’ scare story, about LSD in the water supply potentially freaking out entire towns and cities. His collection includes interviews with Liz Elliot, Casey Hardison and Ramsay Campbell, and he also features a piece of his own fiction, all of which he discusses, along with his upcoming biography of Michael Hollingshead. Finally Andy gives his thoughts about the ‘war on drugs’, which makes him ‘incandescent with rage’, and also the current psychedelic renaissance, including the effect of the internet and social media on acid culture. My latest piece for the Psypress UK Journal – the first installment of a two-parter – explores the roots of psychedelic movies, their rise in the 1960s and the spread of their various influences thereafter, including psychedelia in comedy, sci-fi and horror, cartoons and reality benders. In particular ‘trip sequences’ in films such as The Trip, Easy Rider and Altered States are analysed at length, alongside other psychedelically-tinged scenes in films such as 2001: A Space Odyssey and Yellow Submarine. Whilst verbal descriptions convey much, I felt it would be useful to back up the article with some clips of the actual scenes under discussion, so here is a selection of suitable elements to peruse in conjunction with the piece. They follow the same order as in the text. Psypress UK 2015 Vol IV also contains illuminating essays from Peter Sjostedt-H, Nathan Horowitz and Ido Hartogsohn. To purchase a copy please visit the Psypress Shop. The Trip (1967). This trailer gives a good flavour of the kitschy pop art treatment of the subject back in its heyday, with much reliance on flicker and strobing effects. It will blow your mind! Easy Rider (1969). The Mardi Gras cemetery acid trip borrows from the grammar of The Trip, but moves it into darker, edgier spaces with fast cutting and vertiginous camera moves conjuring an atmosphere of chaos. 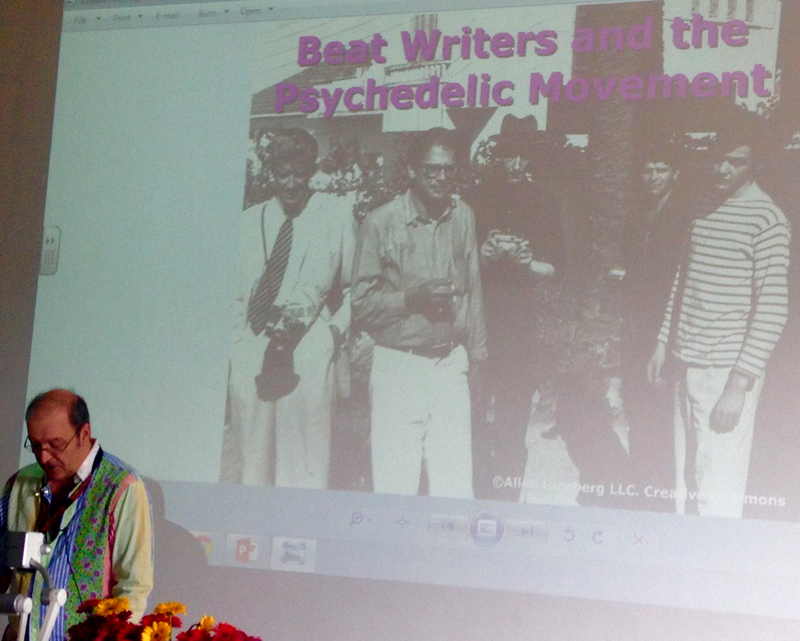 I attended the recent Breaking Convention at Greenwich University and gave a talk entitled ‘Beat Writers and the Psychedelic Movement’, which covered the story of how the major Beat figures – William Burroughs, Allen Ginsberg, Jack Kerouac and Neal Cassidy – preempted and were later inducted into 1960s psychedelia by Timothy Leary. It gave me the opportunity to again explore in detail the fascinating facts of Burroughs’ early involvement with ayahuasca – previously covered in William Burroughs: Ayahuasca Tourist and The Soundless Hum – which in the context of the conference and the current huge interest in ayahuasca were most pertinent. At Breaking Convention there were many talks relating to use of the vine, covering ayahuasca in group therapy, tools for navigating its altered states, the current wave of tourism versus tradition, soma and ayahuasca; and also the related areas of tryptamine plant mythos, the pineal portal, the ontology of entities in the DMT realm and what it’s like to be a machine elf. In fact the whole ayahuasca/DMT/pineal gland nexus is the hottest area in the current psychedelic zeitgeist. And good old Bill Burroughs was there first – a fact that other speakers and participants picked up on as well as myself. Luke Goaman-Dodson gave an illuminating talk on the parallels between Burroughs and Terence McKenna as ayahuasca psychonauts, comparing McKenna’s thoughts on the syntactical nature of reality with Burroughs’s cut-up technique, an area that touches on both post-structuralism and chaos magic – the notion that the world is made of words and that reality can be manipulated through them. Burroughs developed his cut-up technique into form of magic using recording devices and used it effectively; once he attacked the Moka Bar in Soho, where he’d received rudeness and bad service, and after several sessions the business began to collapse and eventually closed down. The transgressive nature of Burroughs’ activities – the ‘literary outlaw’, drug addict and gun nut – cropped up in Alan Piper’s excellent presentation on psychedelics as a key tool for alterity in the twentieth century avant garde. Burroughs’ writings in The Yage Letters and Junkie were juxtaposed with some excellent photos of the older writer in a three-piece suit, pistol in hand of course! Alan posed the question of whether psychedelics would lose their transformative powers if they become officially sanctioned, commodified and safely marketed – a route that Burroughs never traveled in his art and life. And Burroughs’ hand could also be seen in the area of the convention’s installations, in particular with regard to hypnagogic light machines. 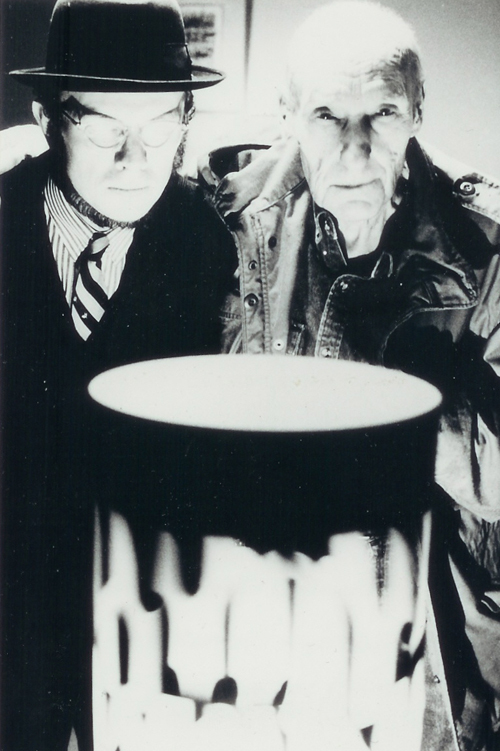 Burroughs explored flicker-effect altered consciousness with his collaborators Brion Gysin and Ian Sommerville, who designed and built a ‘Dreamachine’ – a cardboard cylinder containing slits, with a light bulb inside, rotating on a record deck so that it would flash at the correct rhythm to induce hallucinations. 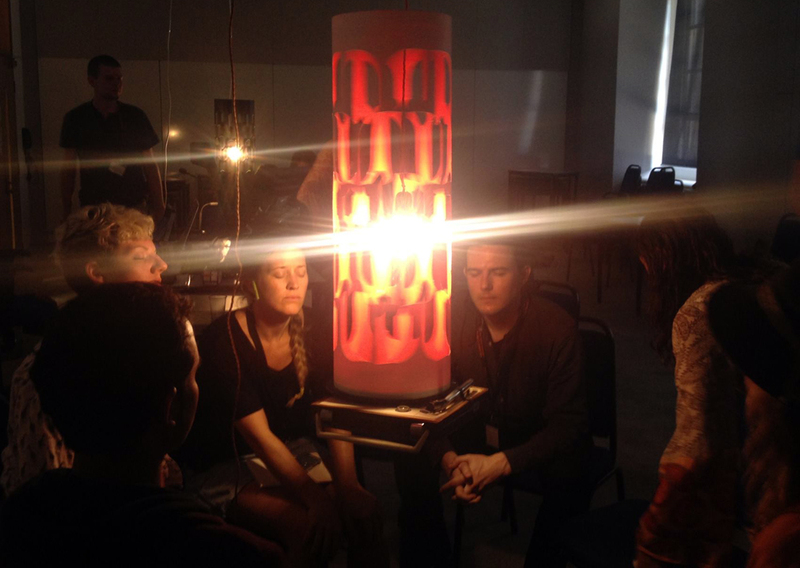 Dr Dirk Proeckl and Dr Engelbert Winkler discussed their Lucia No.3 Light Machine, a very high tech variant where a pulsing whirring light is aimed at the subject’s face, with closed eyes, to induce psychedelic displays of colours and shapes, out-of-body feelings and deep relaxation. But retailing at £16,000, it resides at the high end of one’s pocket also! More in keeping with the original concept, digital artist Luciana Haill displayed dreamachines augmented with EEG installation. Subjects sit with closed eyes and monitored brainwaves, listening to sounds on headphones, in order to create an interactive participatory artwork. Luciana is also involved in the academic side of brainwave research; she is a Visiting Research Fellow at Sussex University’s Department of Informatics and has written a paper on ‘Dreamachines and Electroencephalographic Signals in Art’. Mr Burroughs and Mr Gysin would have definitely approved! Also at Breaking Convention, Muswell Hill Press launched its anthology of the best of PsypressUK writing – Out of the Shadows – covering subjects such as the use of psychedelics in medicine and psychotherapy, archetypal psychology and spiritual awakenings, creative surges in literature, myth and visionary art, and philosophical theory to ayahuasca healing. 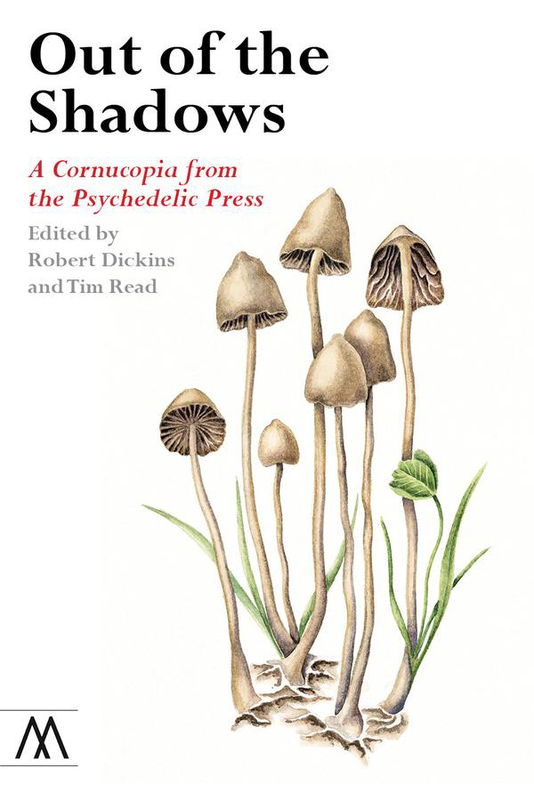 It features top psychedelic commentators such as Stanislav Grof, Rick Strassman, Ben Sessa, Rob Dickins, Tim Read, Maria Pap, Sam Gandy, Andy Roberts, Dave King, Henrik Dahl, Jack Hunter and David Luke, and an interview with activist Casey William Hardison. It also contains my article ‘Beats on Acid’, which provided the original basis for my Breaking Convention talk. Florid as psychosis, poetic as the elements, insightful as meditation and intellectual as the noosphere: PsyPressUK is a ragtaglledy mag loaded with psychedelic word mongery from far-flung medicine bags and the academy’s finest pharmacographers, and this anthology assembles the best of those essays in one book. Not just writing on drugs, but writing about drugs, with the light fully switched on. Copies are available from the Psypress Shop. Interest in and information about ayahuasca has expanded exponentially in recent years, and the Psypress journal is the place to find out the latest. Author and workshop coordinator Ross Heaven asks the question ‘What is Ayahuasca Tourism?’ and whilst painting a very eye-opening picture of the current Amazonian ayahuasca scene, he concludes there is no definitive answer, with perhaps more pluses than minuses to the so-called ‘Western invasion’. Nathan D. Horowitz gets down to business with a florid and lyrical Ecuadorian ayahuasca trip account, which sustains vivid narrative intensity. And on a related note, Andrew R. Gallimore gets inside the DMT-influenced brain and shows how altered neurology engenders a more fluid model of reality. In the more academic realms, James W. Jesso explores the parallels between Sufism and psilocybin as a spiritual tool, and John Glynn looks at the literature of the chemistry of psychotomimetic drugs, relating it to mental illnesses such as schizophrenia and also psychedelic therapy. 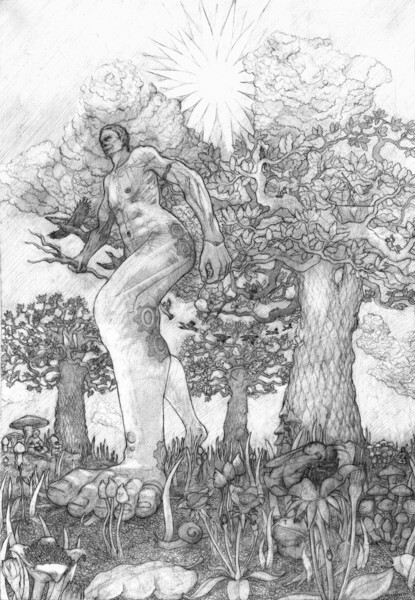 In other articles, Roger Green gives a detailed analysis of Aldous Huxley’s entheogenically utopian novel Island, and Mike Jay considers the lotos-eaters of myth and antiquity. And finally editor Robert Dickins meditates on the ego and ego-loss in psychedelic experience, touching on Freudian theory and the works of Huxley again, but mainly on Alan Watts and his seminal piece of trip-lit The Joyous Cosmology. To obtain a copy of the journal, click here. The range, depth and variation of the subjects explored, plus the obvious expertise of the authors makes for a lively and didactic read; and again the journal shows that the hundred-page digest format – a volume to hold in your hands – cannot be beaten in many ways, and ideally compliments the keyboard-and-screen experience of the internet. The journal has been going for two years now, and Rob plans to make it bi-monthly and also obtain new computer equipment, redesign the Psypress website and publish more books to expand the existing collection. 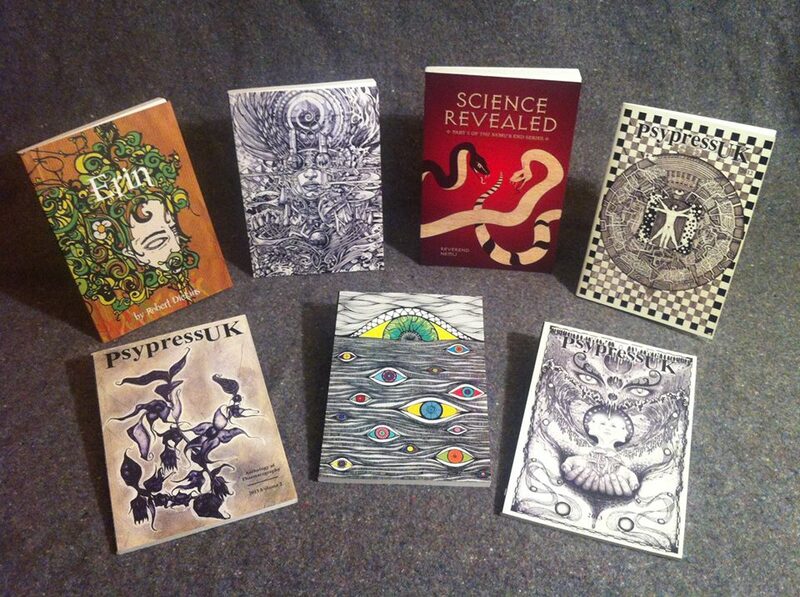 The Psychedelic Press aims at two things: 1) To be a public forum for psychedelic and curious culture, and 2) to raise awareness about the therapeutic, medical, and cultural significance of psychoactive plants and chemicals, through the publication of a range of media. 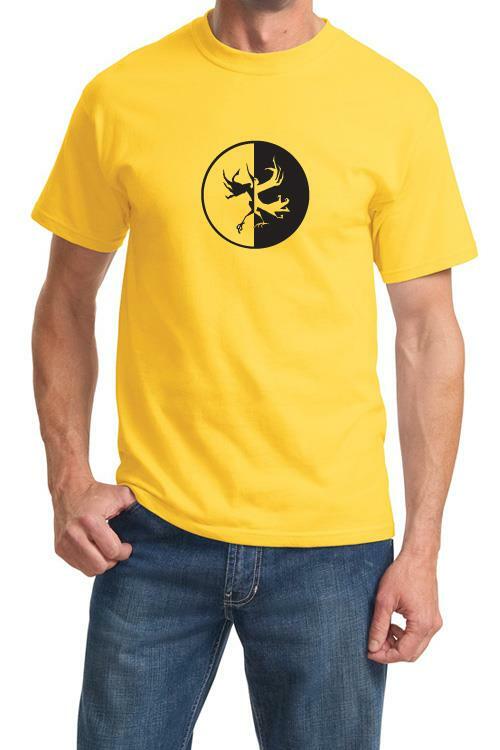 There are various gifts on offer in exchange for donations, such as copies of the journal, subscriptions, copies of Andy Roberts’ excellent book Albion Dreaming: A Popular History of LSD in Britain, Psypress T-shirts and original artwork, depending on the level of donation. I have donated and I eagerly await the arrival of my T-shirt! More information here. When I had the mushroom-inspired vision of The Cult of the Novel way back in 1979 – written about at the finale of The Mad Artist – I knew that although it was highly organised it was also fanciful and solipsistic and I could only hope that somehow it would filter into the outside world and connect with like-minded individuals. It didn’t much at the time and history was against me, with hippydom and psychedelia on the wane and Thatcherite values about to engulf most everything. Cut to thirty-plus years later and people are talking about a psychedelic renaissance, with the old and new coming together and the golden era of 1960s-’70s psychedelia being re-evaluated. I’ve often asked myself why it took so long for me to finally formulate and write The Mad Artist, and perhaps it was because I wasn’t ready before or perhaps the world wasn’t ready. When I did publish it in 2010, I looked around for similar contemporary books and couldn’t find any; though Albion Dreaming by Andy Roberts, a history of LSD use in Britain, was on a most similar wavelength. Then shortly afterwards along came Bill Booker, whose Trippers, a personal memoir of LSD and the ’70s scene, is very like The Mad Artist and also had a long gestation period. And then Leaf Fielding leaped into the frame with his To Live Outside the Law, a much more wide-reaching and influential memoir about the same zeitgeist, with the added spice of the inside story of the Operation Julie bust.